Nasa’s spacecraft, Dawn is set to arrive in orbit around Ceres, the biggest dwarf planet in our Solar System, in mid April 2015. With eight months left to destination, Dawn might send a shockwave across the globe when it dispatches its first pictures of Ceres’ icy surface. Located in the asteroid belt and orbiting at roughly 2.77AU, almost three times farther than Earth, Ceres became a conversation topic only recently when studies indicated its potential to support life. According to scientists, Ceres most likely has an iron core and is covered by an icy surface. Scientists also assume it may harbor a huge ocean trapped under its icy crust. With a structure similar to Jupiter’s moons Europa and Ganymede and Saturn’s Enceladus, the tiny planet might also have a tenuous atmosphere produced when ultraviolet solar radiation breaks-up water-vapor. 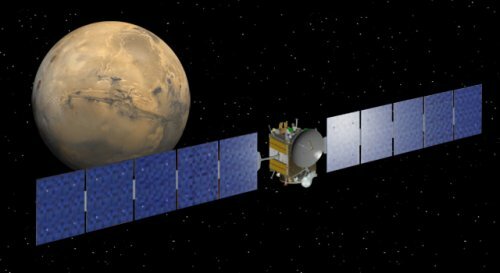 Preparations to put Dawn onto the orbit of Ceres will start in early January 2015, and by the end of April, Dawn will start orbiting around the planet. In late November 2015, NASA’s spaceship will zip over Ceres’s surface at an altitude only 375km, according to NASA’s officials. This close flyby will enable Dawn to take snapshots of many ground features using GraND (Dawn’s gamma ray and neutron detector). Ceres’s approach brings growing excitement in the scientific community, as this is the first celestial body where life chances are reasonable due to its immense underground water ocean where "life should thrive"